How many waves can you ride? In which spots do you surf the best waves? 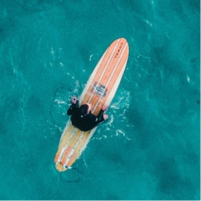 Through data-based insights you can learn from past sessions and understand how to improve the quality of your surf, as well as how to catch more waves, next time round. 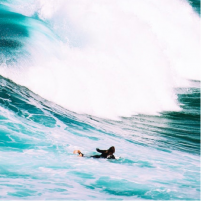 Get insightful and accurate data about the waves you ride. Improve your surf and get feedback from others. An LED UV exposure sensor alerts you when radiation from the sun exceeds recommended levels, helping you to protect your skin. Monitor the quality of your sleep, to ensure you’re at your best while enjoying the waves. Take your surf experience to the next level with the 10 ATM Waterproof Glassy Zone SmartBand. The ultimate wearable specifically designed for surfers. 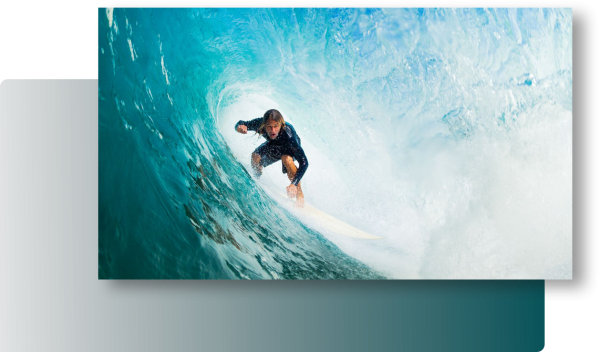 Stay connected to better understand your surf performance. Accelerometer, Gyroscope and GPS maximum technology registers all the data from your sessions. Break your sessions down to see how you did. Know the speed, time, direction and distance of the waves you ride and paddle. Get one of the first hundred units. Join the Glassy platform and access extensive data in an effortless, intuitive and user-friendly way. Become a member of a passionate community with hundreds of thousands users. Chase new spots, ride waves and create memorable experiences across more than 50 countries. Showcase your achievements, compete with friends and support the growth and success of others. 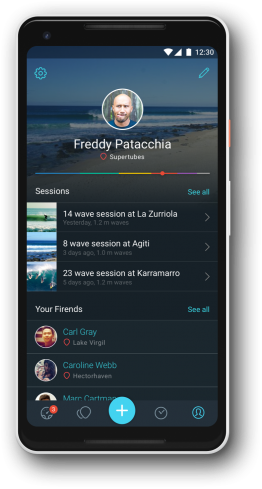 Become the master of your local surf spot from just one app! Ride the wave without ever worrying about water damage. Through pure engineering, the GZ becomes more precise with increased use. GZ gives you updates on the weather conditions of your favorite places in real time. Try it also with your SUP, Kite-surf and Windsurf sessions. Rankings all over the world. 7 Days Battery - Up to 6 hours battery life with GPS ON that will never slow down your sessions. Maximum technology to register each of your sessions. 10 ATM Waterproof. Up to 100m/330 feet of depth for surfing without worry. Shockproof - Enjoy and forget you are wearing your Glassy Zone. Li-ion Polymer 130mAh battery - 31 hours memory storage capacity. Wireless Bluetooth® Smart LE 4.0. 6 axis MEMS Motion Sensor Accelerometer and Gyroscope (3 axes each). UV LED Sensor. An LED sensor alerts you through a signal to protect your skin’s health. Matrix tactile LED 85 pixels & different colors. Access to more than 16,000 spots worldwide. 7-days Forecast. 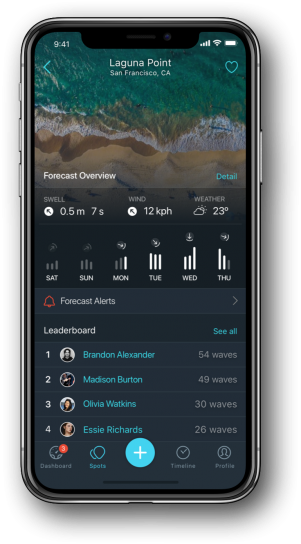 Get notified about real-time swell, wind and weather conditions of your local & fav spots. Operating Temperature: From -10 º to 45º. S/M for wrists between 148 and 190 mm in circumference. L/XL for wrists between 170 and 220 mm in circumference. 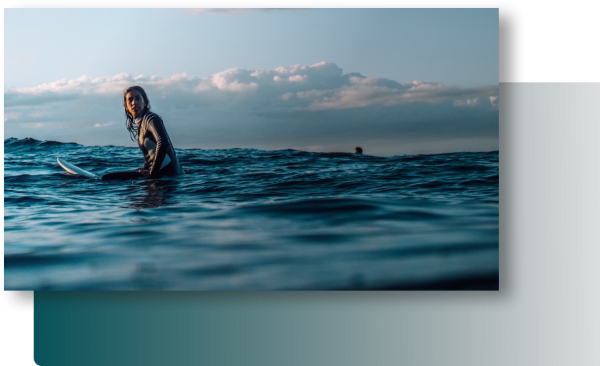 We´ve been working hard to create Glassy Zone from the ground up and we will continue to improve on your surfing experience. Leave your email and we will keep you updated!